We chat to Dr Kathryn Harris to answer our questions as part of the ‘Meet the Staff’ series – as well as some extra questions about her experience of being a woman in STEM to celebrate International Women’s Day. 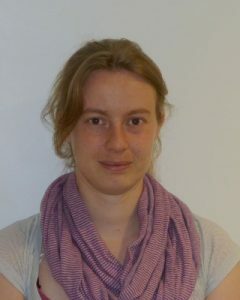 Meet Dr Kathryn Harris, Research Associate at the School of Physical Sciences. Kathryn studied for an MSci in Geoscience at Royal Holloway, University of London and in 2013 completed her PhD in cosmochemistry at the Open University. Here she takes on our “meet the staff” questions. 1. What three words would you use to describe yourself? 2. What inspires you in your work? I would not say I was inspired by anyone in particular but working with a great team and wonderful colleagues in the field of planetary sciences means that new ideas, collaborations and project are constantly being investigated which inspires me with my research. 3. When did you first realise your interest/passion for astronomy and planetary science? My background in Geosciences exposed me to the wondered of the geology of other planetary bodies and how understanding those helps us understand our own planet and especially the formation from the planetary disk. This led me to study meteorites for a PhD at the Open University and then to studying the effects of shock form impact cratering on planetary material here at the University of Kent Using the Light Gas Gun facility. 4. What would you say was your greatest achievement in your research? Being invited to chair a session at the Lunar and Planetary Science Conference in a couple of week time in America. This is the biggest conference in planetary sciences and being invited to chair a session means that my reputation and research is being recognised. Greatest achievement so far. 5. What areas would you like to see progress in research for the School of Physical Sciences? 6. Which other areas of research would you personally like to study? I would like to study the formation and evolution of regolith that is observed on a number of asteroids and moons. It is an interesting material and current collection and remote sensing method are focused on this top layer of these bodies for the more we know about how they formed the more we can understand the findings of the samples collected by missions such as Hayabusa 2 currently sampling the asteroids 162173 Ryugu and past missions such as Stardust and future missions such as OSIRIS-REX. 7. What is your proudest achievements outside of your work? I take pride in learning new skills and developing myself, last year I learnt how to sail which I never thought I would do. 8. What has been your greatest challenge? Getting my own research funding, still working on it. 9. What do you like most about Canterbury? 10. Have you ever felt that being a woman in STEM has effected your career path or choices you’ve made regarding your career or personal life? Never. I have never felt limited or that my gender has had any effect on my career. 11. What do you think are the biggest barriers for getting women into STEM – or do you seen none? Parental leave effects peoples careers, therefore the support for new parents after returning to work after parental leave I think is really key. 12. Do you think there are any advantages to being a women in STEM – or do you feel there is no difference? There is no advantage based on your gender. However in today’s society I do hope that I have reached this level of my career based on my ability, experience and skills rather than my gender. 13. Do you think we need more women in STEM? Equal opportunities and support will allow anyone who wishes to pursue a STEM career to do so. We need more people in STEM whoever they may be. 14. If so, how would you go about getting more women involved in STEM? I make sure that younger people see the diversity of people in STEM showing that anyone can enter STEM no matter who they are. 15. Do you think that SPS/ the university helps to create an all- inclusive environment and has in any way helped you overcome challenges associated with being a woman in STEM? This department is an inclusive department for all who work and study here. I have been given the same opportunities available to all and have made the most of them. Don’t forget International Men’s day on the 19th November. Thank you Kathryn for taking the time to answer our questions! If you’d like to take on our questions and share a little insight, please contact spsmarketing@kent.ac.uk. We are always happy to share the achievements and successes of our staff, students and alumni, so please do get in touch.